Prof. Daniel Krebs (History) tells the story of the 1862 Battle of Perryville – but outdoors, and outside the confines of the archives. Partnering with DJ Biddle (Geography & Geosciences) to map the battlefield using drones with cameras. Left to right: GIS consultant DJ Biddle (Geography & Geosciences) and Prof. Daniel Krebs (History) with Vince DeNoto, director of the National Center for Geospatial Excellence at JCTC, planning the flight path of the drone over the battlefield. Prof. Daniel Krebs (History) wants to tell the story of the 1862 Battle of Perryville – but outdoors, and outside the confines of the archives. Partnering with DJ Biddle (Geography & Geosciences), Prof. Krebs is using drones and GIS technology to create a 3-D story map of the 1862 battlefield, which will analyze unit movements, recreate the landscape, and create a model for the infamous “acoustic shadow” that prevented Union commander, Gen. Don Carlos Buell, from sending reinforcements to his embattled left flank. “Nobody – to our knowledge – has tried to use this type of GIS data for a history project,” said Prof. Krebs. 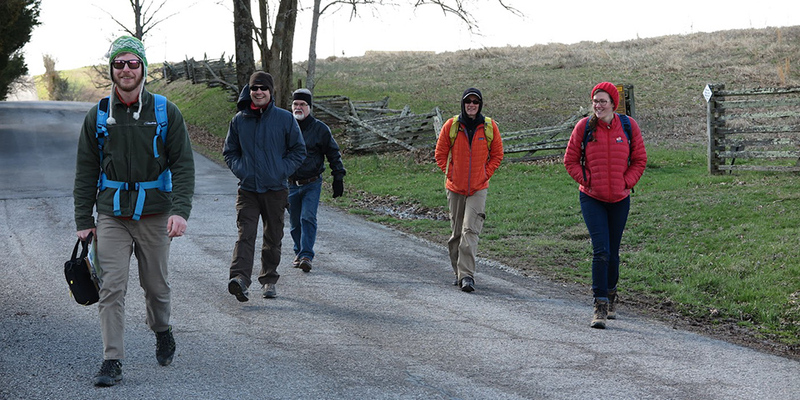 On March 3, faculty members and students from the Departments of History and Geography & Geosciences (GIS) went to Perryville, Kentucky to fly drones equipped with cameras. The drones were piloted in a grid pattern over the battlefield, and took photographs of the ground from various angles. Using those photographs, Krebs and Biddle will use Agisoft, a mapping software, to put together a 3D map of the terrain. 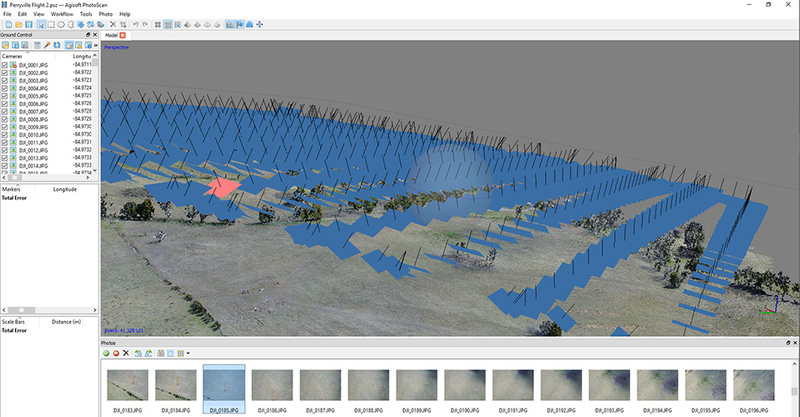 Using Agisoft, a GIS sotware program, to input and map data taken by drones flying over the Perryville battlefield. For the trip to Perryville, a number of additional researchers and students outside the project came along, including College of Arts & Sciences professors Robert Forbes, Andrea Gaughan, Andrew Day, and Forrest Stevens, geography alumna Laura Krauser, and Vince DeNoto, director of the National Center for Geospatial Excellence at Jefferson Community & Technical College. Geography & geosciences graduate student G. Allen Noona is also working on the project. Left to right: GIS consultant DJ Biddle (Geography & Geosciences), Prof. Forrest Stevens (Geography & Geosciences), Vince DiNoto (JCTC), Prof. Andrea Gaughan (Geography & Geosciences), and alumna Laura Krauser (Geography & Geosciences ’16). For more information on this project and others, visit the Department of History and the Department of Geography & Geoscience’s Center for Geographic Information Sciences. 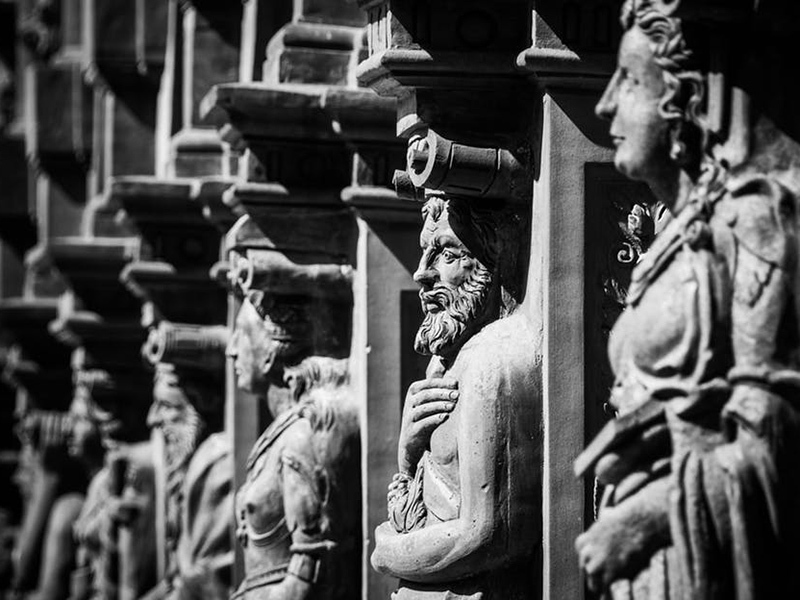 Find out more about the Department of History in the College of Arts and Sciences.